SCD Group: Jazz and A Kid with Cardboard Boxes: Can Associations Energize Creativity & Innovation? Jazz and A Kid with Cardboard Boxes: Can Associations Energize Creativity & Innovation? Innovation and creativity seem to be the current rage in the association and nonprofit communities. Interesting: learn the rules so you can throw them out and be creative. Interesting: create a social media style guide so your writers can know the context which provides them more creativity for their writing. So, where are we as association professionals? 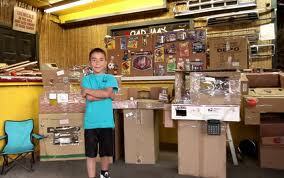 The other day, the folks at KaBoom tweeted this wonderful video about a kid and his cardboard boxes. It reminded me of my kids playing in the basement, not with store-bought toys, but with boxes, pans and other tools of their imagination. For me, my childhood creativity usually started in the woods and fields around our house. A side note: think what this kid could do if he had the $75,000 the General Services Administration spent on a “build a bicycle” team building exercise last summer! Interesting quote from Jon Stewart. Fine line between guidelines that allow for creativity and rules that become too rigid. I remember the same kind of principle from writing: You can only break the rules after you know them. Steve, you may like my "4 Innovation Lessons from Football" post where I answer the questions: "What did coaches and teams do to create competitive advantages while staying within the confines of the rules of the game? Just how did they create innovation in what might be perceived to be limiting circumstances?" Good points Jay! And thanks for sharing it with me. My sport is hockey. While not focused on innovation, you may find my post 10 lessons for Association Management Professionals from Ice Hockey http://bit.ly/JzSNOP of interest.